This is by far the most search for recipe on my blog. And I can't blame anyone for that. It is the best pie! Hands down, there is no other pie on the planet that is as tasty as this Razzleberry Pie. You might need to make these today, or tomorrow, but trust me, it is a necessary part of Thanksgiving. I made them earlier this week and from start to finish it took me a little over an hour to make 5 pies. Clean up may have taken a little longer thanks to a cute little 17 month old baby girl, who loves to get into everything, but I'm not counting that time. Last June 15th, to be exact, we had Elder Bednar from The Church of Jesus Christ of Latterday Saints visit our little neck of the woods to reorganize our stake. What that is, is the restructuring and calling of new leaders for our church. We had lots of time with him over the next 3 days. (Here's a link to some of those details.) But one moment that made me smile was all related to this pie. A few weeks earlier James was talking to the man who had been asked to cater a meal for the Apostle, and a few other church leaders. He had the menu planned but didn't quite know what to fix for dessert. James immediately told the man that he knew what Elder Bednar's favorite dessert was and that I would make a bunch of pies for the dinner. James then called and told me what he had committed me to:) Bless his heart! 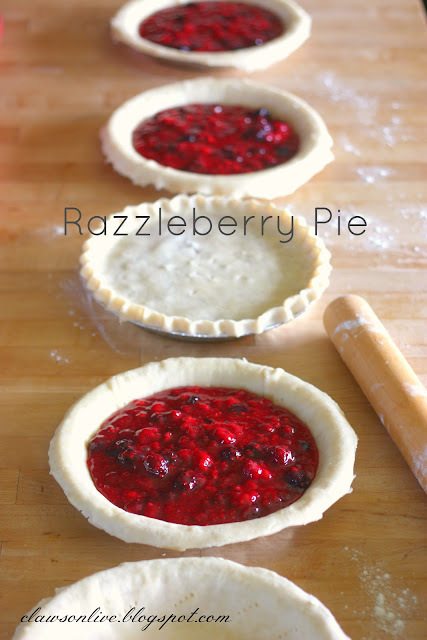 Actually I had a few of these Razzleberry Pies in the freezer so it wasn't a big deal at all. I took the beautiful pies to the church and that was that. I didn't expect to hear anything, but I was pleasantly surprised the next morning. 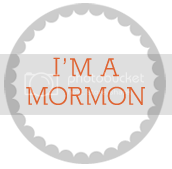 Sunday morning James and I had a meeting with the rest of the new Stake Presidency and their wives and Elder Bednar, his wife, and a few other wonderful people. There were 12 of us total. As Elder Bednar was walking into the room, he and another gentleman were talking about the dinner they had eaten the night before. His comment to the other man went something like this. "I think I could have eaten just that berry pie and raspberry jam and rolls and been perfectly content." He was talking about my pie!!! I wanted to jump up and down and say, "I Made That Pie Just For You!!" But I didn't, but James' and I passed a smile that said it all. It really is a wonderful pie. I hope you enjoy! (I hope you have gobs of turkey too:) It's the most wonderful time of the year! as Emma would say! Loves and Kisses!! In a large bowl place flour and salt and cut Crisco into the flour until it resembles coarse meal. I actually have found it is easier to use you hands to make this dough than a pastry blender. Add the water and just bring the dough together. Don't over mix or it will get really tough. Divide the dough into 5 big dough balls. Each dough ball will then be divided into a top and bottom crust. I roll out 5 bottom crusts and place them in 8or 9 inch disposable pie pans. After all the bottom crusts are ready I divide the filling equally between the 5 pies. Then top with the top crust, crimp the edges and vent the pie. I place tin foil over the top of the pie and place in the freezer for later use. I usually add extra berries since I have gallons of them frozen from my garden. Do what you got to do. Also if I don't have all the berries I've done it with just raspberries, or I usually add Huckleberries into the mix. When you would like to bake a pie take it out of the freezer and brush the frozen pie with a little cream or milk and sprinkle white sugar on top. This makes the pie sparkly. Bake in a 375'F oven for 1 hour from frozen. Make sure the pie is puffed up completely in the middle. I sometimes have to bake an extra 10 mins. or so. This pie really is dang good!! lisa, i hope it's okay but i posted the link to your delicious razzlepberry pie recipe on my blog. i had a few friends ask for it and thought it was easiest to do it that way. hope you have a wonderful holiday, thanks for the great recipes! Hi! Is this recipe for 5 pies? I want to try it for Christmas dessert but I definitely don't need 5 pies. I use this all the time. It is so easy and cheap to make. No need to buy Danish Dessert anymore, but you totally can if you want. Combine all ingredients and cook until mixture comes to a boil. Cool and add fresh or frozen berries. Fill crusts. hello! just wondering how long to bake this pie fresh, not frozen? Kami! So sorry it took me so long to reply. Your email got mixed with some spam and I did some sifting today:) A fresh pie will take just a little less time. I'd start with 45 minutes, but I really think it will take 50-55. Just make sure the crust is golden and the top crust is completely puffed up. Sometimes it may look golden and the crust isn't puffed up yet, and when the pie cools you'll have a soggy top crust. It's not a deal breaker. It tastes delish still, but just not perfect:) Good luck!! Just made it for tomorrow's Thanksgiving! Looks beautiful in the oven. My husband is super excited to get it. .. his favorite kind of pie, but he's never had it homemade. Thanks so much! Just wondering if you ever found a solution to this problem. I have had the same thing happen to me the las two times I have made this. The first time it was perfect! It set beautifully and tasted oh so good! The only thing I can remember doing differently is that the first time I used fresh berries and the last two times I used frozen but I also think the last two times I way overfilled the pie. Could it be too many berries or possibly not baking long enough? Are your berries still whole by the time its done baking or should they be cooked down and blended?